Brace yourselves – it's time for a Game of Tanks! 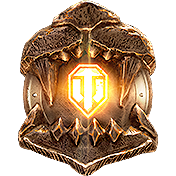 Prove yourself worthy to seize the World of Tanks throne by fighting your way through maps of Ice and Fire, and you could be crowned king of the newly-released Lansen C, as well as a royal stash of personal reserves and consumables to ease your ascension in the upcoming Swedish medium tank line. Thời gian thi đấu sẽ được đăng tải sau khi kết thúc quá trình đăng ký.